Research Activity Research activities carried out in the Marine Botany and Phycology Laboratory concern systematics and ecology of algae, marine plants and terrestrial algae. Phytoplankton long time series collected since 1978 in the Senigallia transect (northern Adriatic Sea) allow to relate phytoplankton trends with climate changes, trophic conditions and water masses of Adriatic Sea. Study of microphytobenthic communities associated to different substrata. 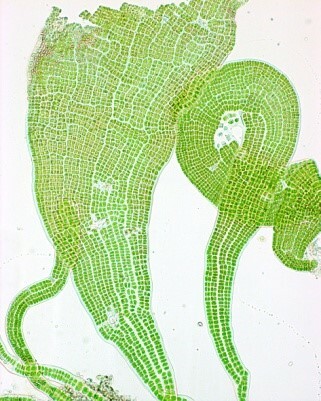 Ecology of epipelic microalgae of soft bottoms. Eplithic microphytobenthos associated to natural and artificial substrata. 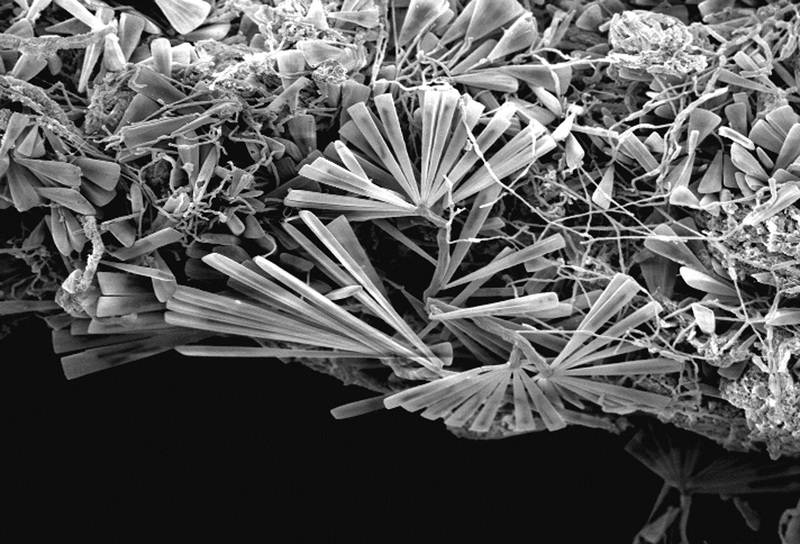 Study of the complex relationships between diatoms and marine invertebrates: diatoms associated with Antarctic sponges, diatoms epibionthic on marine hydrozoans and molluscs. 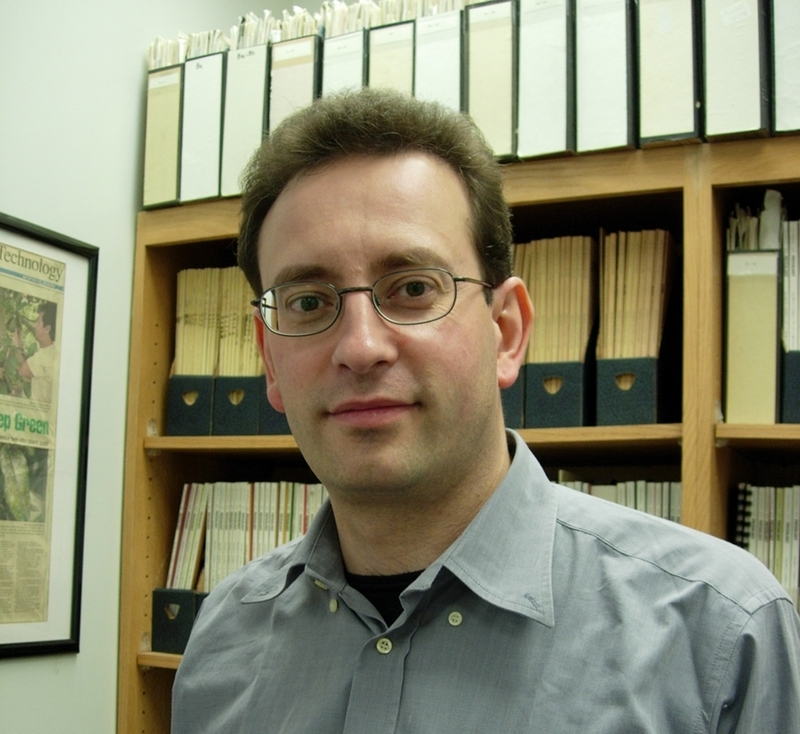 The knowledge of systematics of living organisms represents the foundation of any biodiversity study. 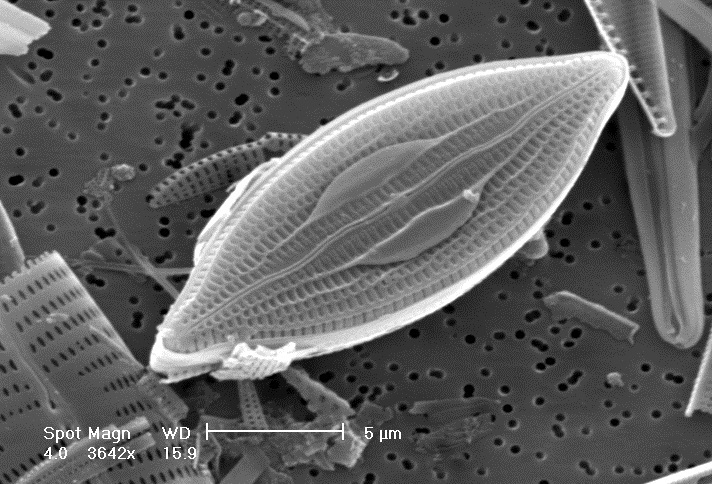 We are involved in taxonomic revisions of important benthic diatom genera (e.g., Mastogloia, Cocconeis, Diploneis) leading to the description of several new species. Figura 1. Campionamento con retino da plancton durante una crociera oceanografica. Figura 2. Diatomee epibionti sull'idroide Eudendrium racemosum: sono visibili colonie di Licmophora spp. che formano una foresta in miniatura colonizzando tutte la superficie disponibile Figura 3. Mastogloia neoborneensis una nuova specie di diatomea bentonica descritta dal nostro gruppo e depositata presso il Canadian Museum of Nature, Ottawa, Canada. Several microalgae produce toxins affecting human and marine organism health. In our laboratory we study biodiversity, ecology and life cycles of toxic microalgal species belonging to phytoplankton and microphytobenthos. We are currently carrying out studies on the best-known toxic benthic dinoflagellates from both tropical and temperate areas (Ostreopsis cf. ovata, Gambierdiscus toxicus, Coolia spp., Prorocentrum spp., Amphidinium spp.) and Azadinium, a toxic planktonic dinoflagellate well-known in northern Europe and recently recorded in Mediterranean Sea. Figura 4. Campionamento subacqueo per lo studio della distribuzione spaziale e temporale delle dinoflagellate bentoniche potenzialmente tossiche (Ostreopsis, Coolia, Prorocentrum). Figura 5. Ostreopsis cf. 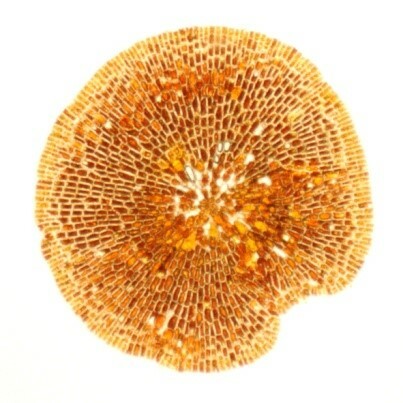 ovata una dinoflagellata bentonica produttrice di biotossine, responsabile di imponenti fioriture associate a intossicazioni umane e morie di organismi marini. We investigate the ability of marine macrophytes (biosorption) to remove heavy metals and metalloids in collaboration with the Environmental Technology Laboratory. Our studies are aimed at innovative technology development for the treatment of sewage waters from industries, purification plants and polluted sites. 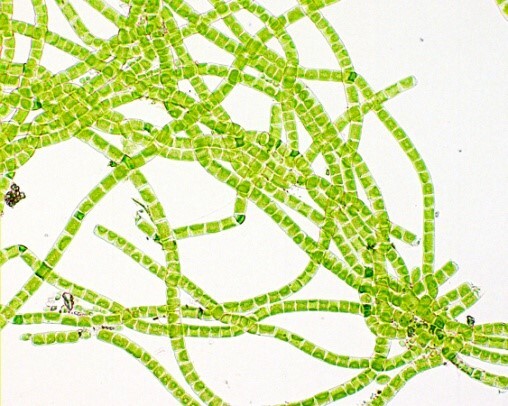 Terrestrial environments host many species of green microalgae, an assemblage of organisms whose overall diversity is still poorly understood. We are investigating the systematic of selected groups of terrestrial green algae by field studies, morphological observations, phylogenetic reconstruction based on DNA sequence data (SSU, rbcL, tufA and psaB genes) and analysis of plastid genomes. The orders Prasiolales, Trentepohliales and Klebsormidiales are the main groups on which our current research is focusing. Benthic marine macroalgae are a highly heterogeneous group of organisms with a long and complex evolutionary history. 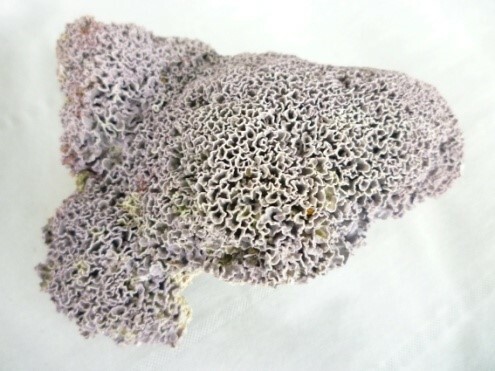 Calcified red algae of the order Corallinales represent a very diverse group and in the Mediterranean Sea play a key ecological role; due to their calcified bodies, they are important bioconstructors that produce important habitats (coralligenous concretions, Lithophyllum trottoirs, rhodolith beds). 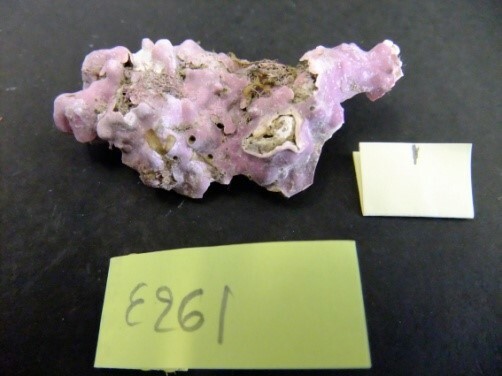 We are investigating the diversity of Mediterranean coralline algae using a combination of morphological observations and DNA sequence data of selected markers (SSU, psbA, rbcL, cox2,3). Due to the great diversity of environmental conditions in different parts of its basin, the Adriatic Sea hosts a rich and diverse macroalgal flora. We are currently investigating the floristic diversity of this basin (in particular the rocky shores of the area of Ancona), with the main objective of detecting long-term changes related to climatic changes. Marine Strategy Framework Directive: implementation for Italy, supported by ISPRA (Italian Superior Institute for Environmental Protection and Research) and Italian Ministry for the Environment and Territory. ENPI M3-HABS: Risk Monitoring, Modelling and Mitigation of Benthic Harmful Algal Blooms along the Mediterranean coasts. Funded by the European Union. PRIN (Projects of High National Interest) 2011: Marine bioconstructions: structure, function and management. 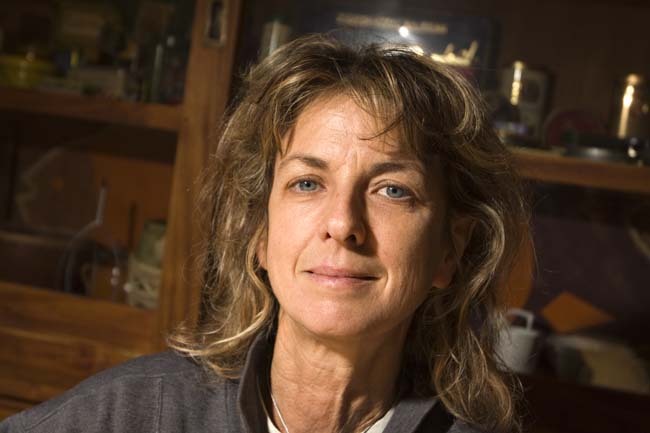 Funded by the Italian Ministry for Education, Universities and Research. Sistema di acquisizione ed elaborazione immagini "Axiovision 1"